It takes a 30 minutes to reach Gili Air, most of the boats depart either from Sanur Beach, Serangan Harbor or Padang Bai Harbor. To visit Gili Air, island hopper boats are preferred mode of transportation. It takes a 30 minutes sail from Gili Trawangan and take a stop at Gili Meno before reaching Gili Air. They are hopping boat from Gili Trawangan to Gili Meno. The hopping boat could be private chartered boat or public boat. 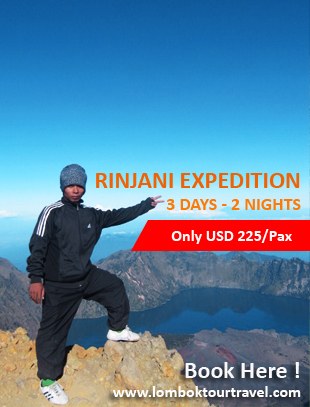 The accommodation and other tourism facilities are on the south and east coast of Gili Air, facing to the Lombok. Gili Air has only one port, the boats usually lie to the centre of the south coast. Gili Air is the closest islands of the other two Gili islands (Gili Trawangan and Gili Meno). It has varieties local inhabitants such as Sasak, Mandar, Bugis and Makassar, makes a unique cultures from Lombok. They are living as boatmen, fishermen and coconut farmer. There are only some upmarket hotels (air conditioning, swimming pool, TV) on Gili Air for honeymoon couples or travelers who want to enjoy a quiet nature with snorkeling and diving as the highlight of the activities. 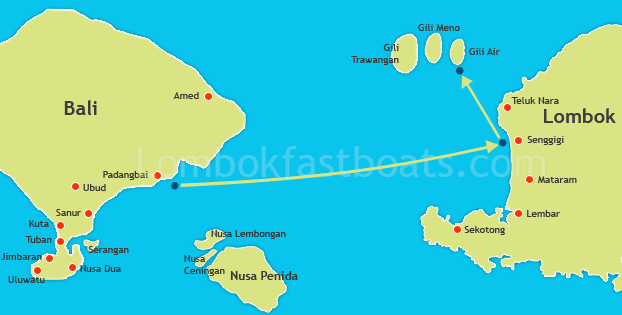 Most of the boats depart either from Sanur Beach, Serangan Harbor or Padang Bai Harbor. The services are include free hotel transfers to and from most areas in South Bali, including Kuta, Seminyak, Sanur, Ubud Center, Legian, Nusa Dua, Tuban, Jimbaran, kerobokan, and Denpasar. Canggu (as far northwest in Bali) and Uluwatu require minimum 2 people for free pickup or there is an additional fee.